Energy minister, Greg Barker has secured a block on the publication of official minutes taken at a meeting with energy suppliers to discuss the Green Deal, according to an article published by Click Green. Barker successfully argued that the publication of the meeting's details was not in the "public interest" and a Freedom of Information (FOI) request has subsequently been rejected. 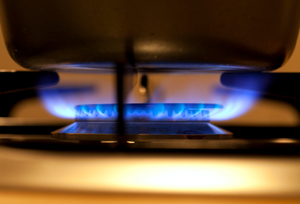 The meeting, which took place on February 1, saw representatives for each of the big six energy companies meet with the government to discuss the Green Deal scheme. A statement released by the Department of Energy and Climate Change (DECC), confirming the rejection of the latest FOI request, read: "The Minister of State (Greg Barker) has decided to withhold this information on the grounds that release would prejudice the commercial interest of the companies involved. "The documents requested include information that is exempt from disclosure by virtue of Section 43(2) of the Freedom of Information Act. "This provides that information may be exempt information, again subject to public interest, because its release would be likely to prejudice the commercial interest of the companies concerned. "While there is general public interest in the disclosure of information - as greater transparency makes government more accountable - there are public interest considerations in favour of withholding the information in order to ensure that commercial confidentiality is not prejudiced or undermined by disclosure of information which is not common knowledge, as this could adversely impact on future business discussions. "We therefore consider the balance of the public interest to lie in withholding the information we hold," the statement concluded.